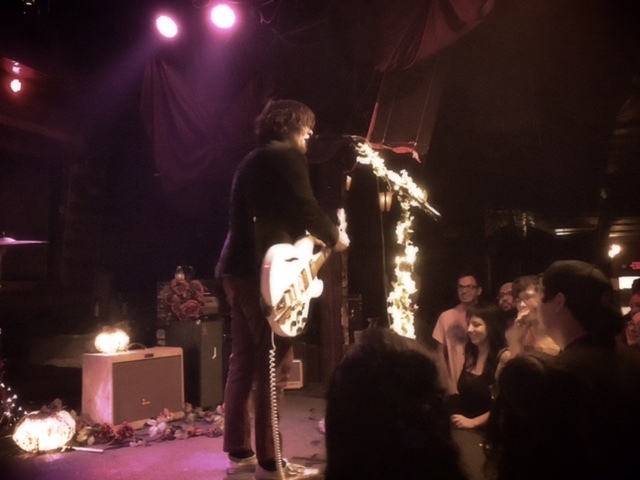 Beach Slang just released a new record in September entitled, A Loud Bash of Teenage Feelings, the record continued the punk ethos and emotional outpouring they had come to be known for. For a band to release a record, distribute, market, and tour is a hard thing to do. Blessings need to line up in just the right quantum structure for it to become an idea, let alone a physical thing. It’s even harder when you are the only one left of a trio in the middle of that record release circus. 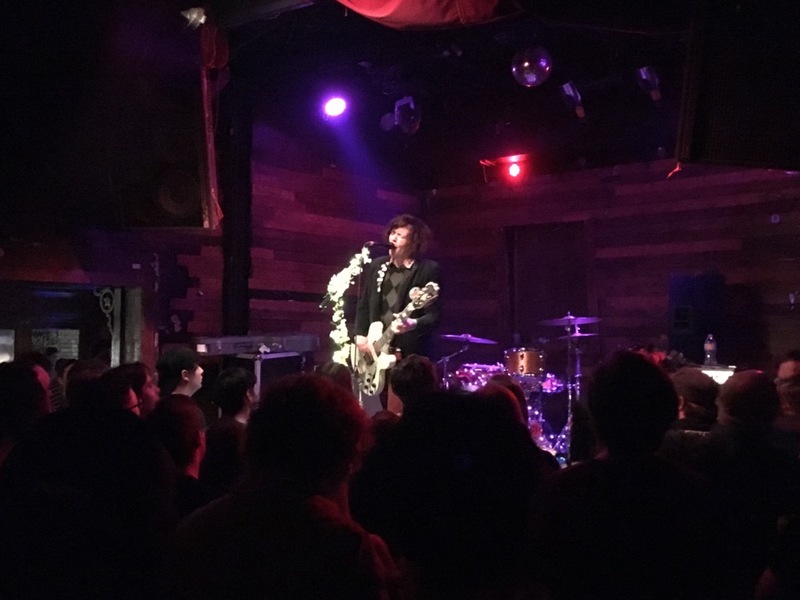 Beach Slang vocalist, James Alex, was caught in the middle of that whirlpool, down a drummer and guitarist, with no choice but to venture on under the moniker of the band, but essentially as a solo act. Alex, with openers Bleached and Hunny, were at the Backbooth in Orlando on October 14th and brought the sauce. Hunny offered a funky, pop sound in an 80’s vein that had the crowd pogoing all over. They were catchy as hell, and the band played the crowd with an extremely charismatic vibe. 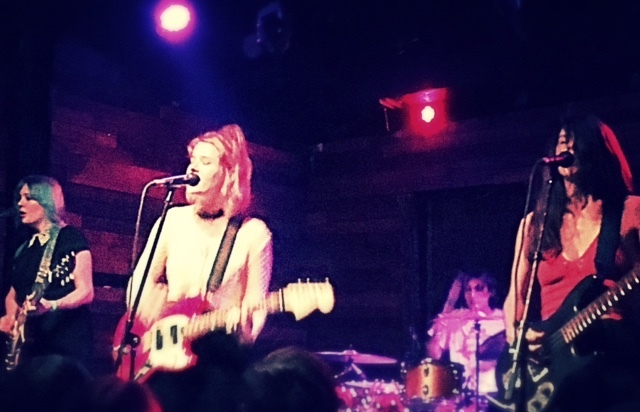 Bleached was dangerous with a sound equal parts L7, equal parts Go-Go’s, and all sunshiny pop. Their brand of music is infectious, rough, and raspy as it was sweet and delicate with a doo-wop sorely missing in the world of rock music. James Alex was quoted on continuing his tour as a solo act stating: ”I’m playing with my electric guitar and I’ve got my amp and it’s still distorted and big”. And all that was all very apparent on Friday night. 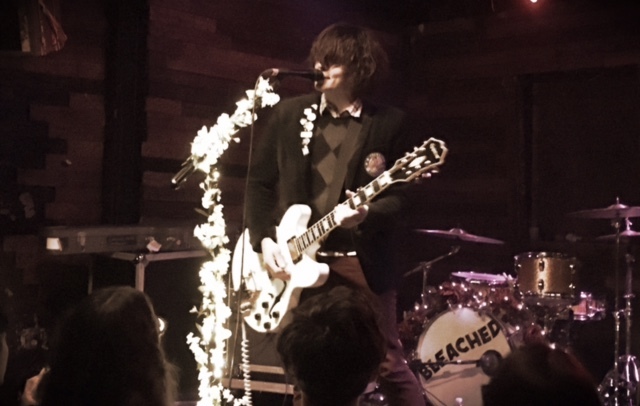 If nothing else, the crowd had much respect for Alex and he held them in the palm of his hand donning his velvety blue jacket and tearing through a set list of new songs from A Loud Bash of Teenage Feelings, chucking that set list part way through and asking for requests. “Spin the Dial”, “Atom Bomb”, and “Punks in a Disco Bar” were played with wild abandonment. Alex would occasionally pause so the crowd of 150 strong could sing along to the chorus. The fans clearly loving the intimacy and weirdness of Alex and his jangly guitar. Alex also brought out covers of crowd favorites including songs from The Pixies, The Cure, and seminal proto-emo band Jawbreaker. The great thing about the show was the anything goes vibe. The crowd was probably half of what it would have been if the whole band was present, but the die hards were there as support for Alex, and he continued his grace thanking them every chance he got. I found myself pondering whether the rest of the band was even needed. After the show, I found one of the guitar players for Bleached and gave her a high five as I walked out of the venue. She had a smile from ear to ear as they packed up to drive the 3 hours north to Jacksonville and onto to the next adoring crowd. The whole show was an experiment in optimism, patience, and respect for showmen who live by the mantra “The show must go on”.